Preparing for your wedding is about a lot of things. You will have to find a venue, set a date, send out invitations, and, of course, make sure you look drop-down gorgeous as you walk down the aisle. This last bit is hugely important for pretty much every bride under the sun – and while the dress, shoes, and accessories are definitely a big part of it, there are other parts of your bridal beauty to consider as well. Even more, some things just have to be planned well ahead of time. Want to learn more about planning your bridal beauty regimen? We have some tips for you – so read on and find out more. One year ahead. This is the time to start visit a dermatologist if you want your skin to be picture-perfect for the Big Day. Also, if you want to get a laser hair removal, this is the best time to start the process – it depends a lot on your hair and skin type, but in general, it’s better to err on the safer side and start this as soon as possible. Nine months ahead. This is when you should start going to regular facials. Remember, though, you shouldn’t get facials too close to the wedding date – and ESPECIALLY not something new that you haven’t tried before. Five months ahead. This is the right time to start exfoliating your skin using chemical products. There are some you can use at home, but you’re probably better off visiting a professional aesthetician for this. Three months ahead. Start lower alcohol consumption and replace it with natural juices. We’re not saying you should starve yourself with a juice cleanse – but drinking natural juices more often than wine will definitely help your skin look better (and help you feel better). Looking for the perfect waterfront venue? 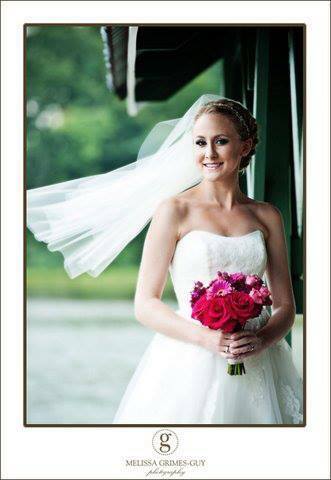 Contact The Oaks Waterfront Inn to schedule a private tour so that we can discuss the wedding of your dreams! Our staff is available 7 days a week.